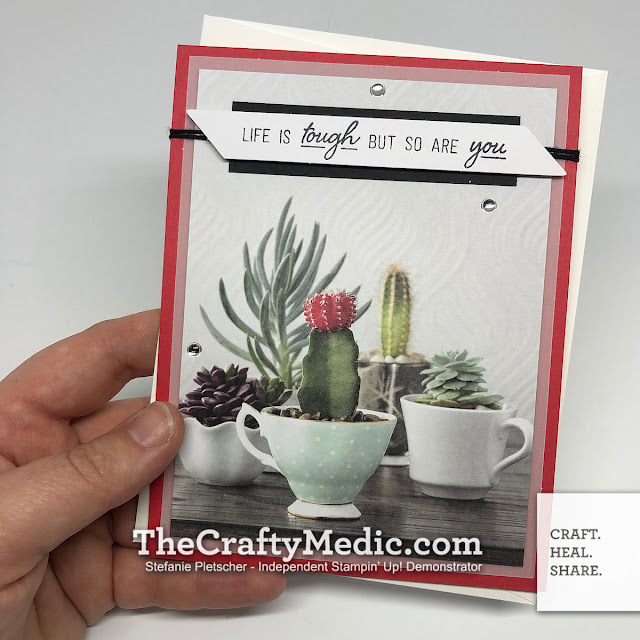 So I shared some cards I'd made with last month's Paper Pumpkin kit, but I wanted to share some that I made without following the instructions in the box. One of the things I love with these kits is how versatile they are! I can pack up the box (plus my handy snips and clear block) and make cards anywhere, often on the ferry in my case. I can also throw in a few sheets of coordinating cardstock or embellishments and make completely different projects! My first alternate project is a CASE of Rachel Tessman. All it took was two pieces of card stock, a punch for the sentiment, and a few passes of my trimmer to make this fun display. 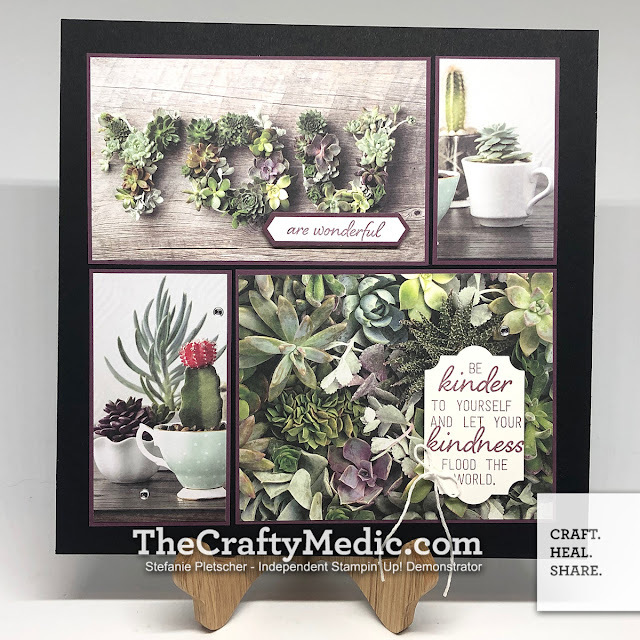 Next up I brought in some coordinating cardstock (the colors are listed in the instructions, for this one I chose Poppy Parade) and made this card for a friend who's going through a rough time. 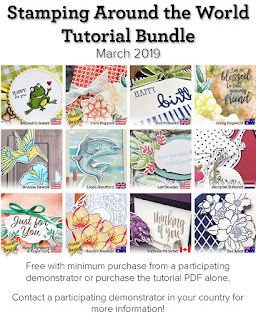 While this kit is over, you can still get March's! This month we will get a kit that makes 8 birthday cards that "pop", plus the kit includes a bonus second stamp set for free! Today is the last day to subscribe though, so act fast! When you place an order through my online shop, make sure you use the host code to the right. 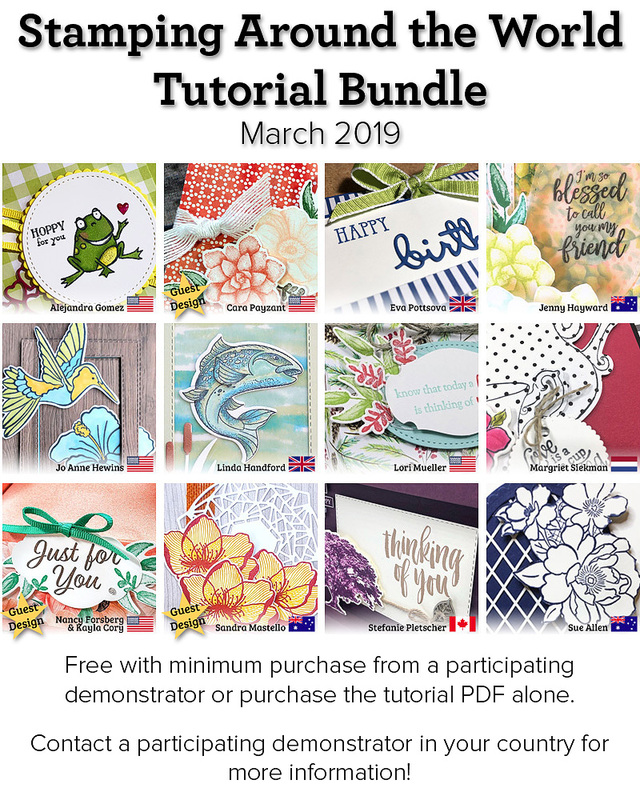 When you do so, you'll not only get entered on my bingo card to get free goodies, but when your order is $65 or more, you'll get a tutorial PDF with twelve amazing projects to create!